So you have the jersey, you have the hat, you even have the bumper stickers. So what else would you need to prove that you are the Jags #1 FAN? 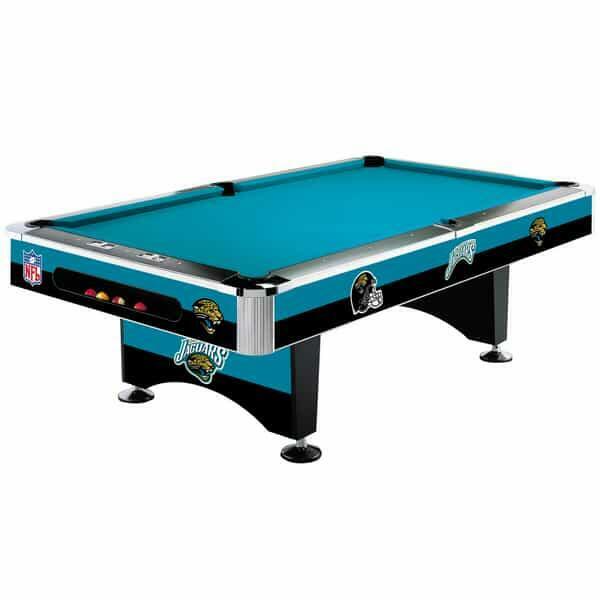 That's right, an officially licensed Jacksonville Jaguars 8' slate pool table. Host Monday Night Football at your house and be the envy of all your friends and neighbors. This high quality regulation pool table would make the perfect centerpiece in your game room or basement and will bring you years of fun and entertainment. So head on down to EverBank Field, show your support for your favorite AFC team, and the next time you hear someone say that they are the Jaguars biggest fan, you can confidently tell them "...oh really, and do you have an officially licensed regulation Jaguars pool table in your basement." Case Closed - Go Jags!! !